Manish International is the only one place where you can find the best product according to your need & requirement. Which would make you to feel good. These beautiful Designer Products gives an authentic, traditional look to your furniture. These Designer Products are stylish, functional and with the incredible variety of designs that we offer at Manish International, are often just the thing to completely tie a room together. 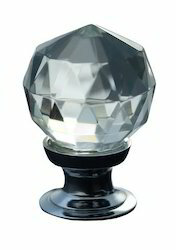 M5051 - CRYSTAL PULL - 6"
M5056W - CRYSTAL KNOB - 1¼"
M5059W - CRYSTAL KNOB - 1¼"
M5062B - CRYSTAL KNOB -1"
M5064W - CRYSTAL KNOB -1½"
M5068 - CRYSTAL KNOB -1"
M5070 - CRYSTAL KNOB -1½"
M5071 - CRYSTAL KNOB -2"
M5074 - CRYSTAL KNOB -1½"
M4053 - MORTICE KNOB FREE - 2½"
M4054 - MORTICE KNOB FREE - 2½"
M4061 - CUPBOARD KNOB - 1½"
M4062 - CUPBOARD KNOB - 1½"
M4063 - CUPBOARD KNOB - 1", 1½"
M4064 - CUPBOARD KNOB HAMMERED - 1", 1½"
Beautiful Hand Crafted Glass knobs that are responsibly sourced and fairly priced. Available in virtually unlimited design patterns. Our prices are the best in market for the quality we offer. Delivery: Door to Door service available. Cheap shipping options available. We maintain huge stocks in our warehouses for faster delivery. Payment options: T/T, L/C, Paypal, Western Union etc. Discounts on Bulk orders. Attractive pricing. Packaging: All kinds of packaging ranging from the Standard Package - “Each knob is packed in a polyethylene bag and placed in a box with 6-15 knobs each, which along with other similar boxes is placed in the master carton” to Custom Packages with bubble wrapping, bar coding. PU foam packing, thermocol sheet reinforcement available at extra pricing. Cost effective solutions with cheap packing also available. 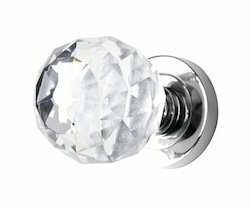 We are a renowned name, which is engaged in offering Crystal Door Knob. 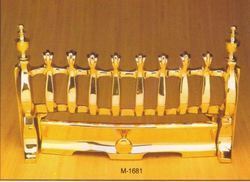 M 1681 BRASS FIRE FRENTE 9½" × 15"